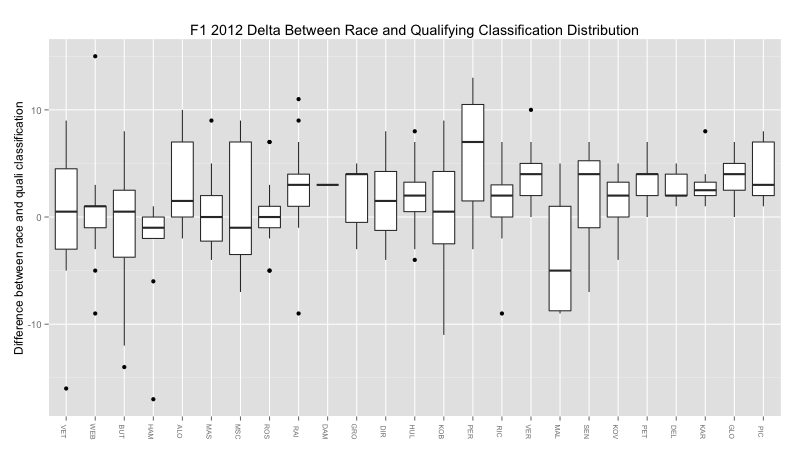 Hmm...I think we need to draw an line in at y=0 to make the axis clearer. Alternatively, how about if we use colour to highlight a gain or loss in position? 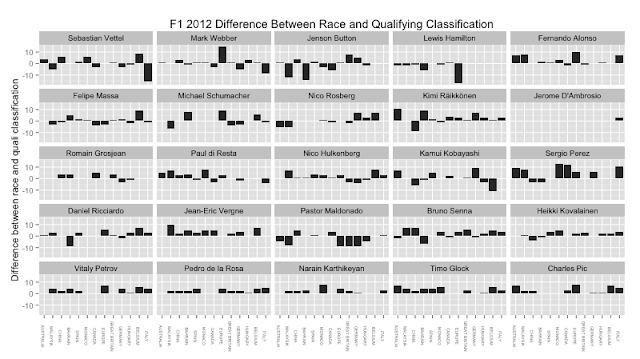 Here's another take, using a linerange to indicate the change in classification between qualifying and the race. 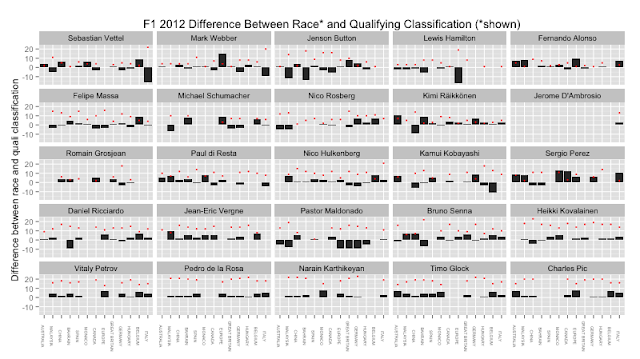 The larger red dot shows the race classification, the smaller blue dot the qualifying classification. 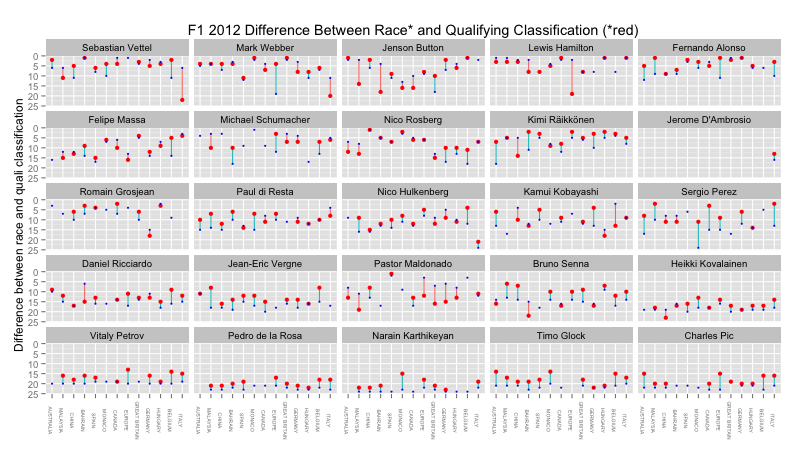 The dots are layered so that if the qualifying and race classification are the same, the smaller blue dot sits on top of the larger red dot. 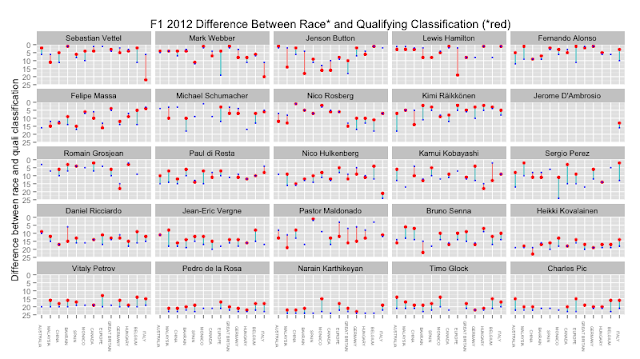 The line segment draws attention to the difference between classifications, and is coloured to show whether positions were gained or lost between qualifying and the final race classification. The y-axis is inverted to better reflect height as "good", better ranking, lower down the screen as fall or loss of position. I think the sizes and colour encodings may be confusing - red is the final, but red is also loss in position from qualifying to race. The larger dot represents race classification, but the eye moves (I think?) from the larger to the smaller dot? 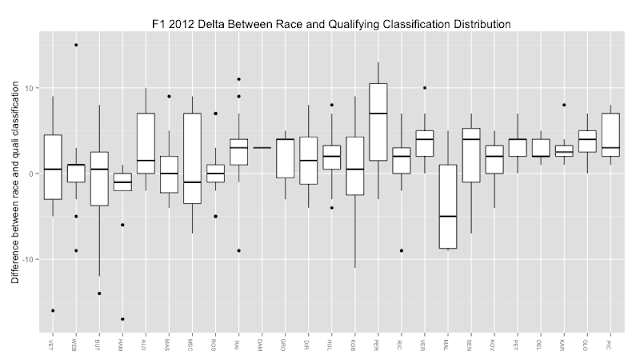 So the larger dot should represent qualifying, and be on a lower layer, and the smaller dot the final race classification, so you eye is led from qualifying to final race position?